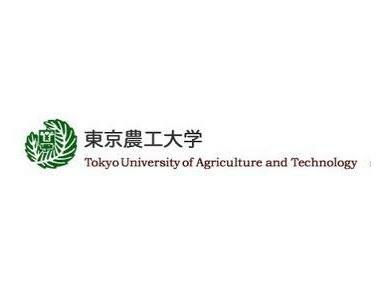 Unlike any other university in Japan, Tokyo University of Agriculture and Technology (TUAT) distinctively focuses on education and research in the fields of agriculture and engineering that constitute the core of industry today. This unique harmonization of agriculture and engineering is an approach that we at TUAT have promoted throughout our 140-year history and is a tradition we continue to cultivate to this day. Universities are based upon two fundamental principles: the dissemination of knowledge (education), and the further development of this knowledge (research). In addition to this, we here at TUAT are also constantly making efforts and developing new initiatives to promote the advancement towards an environmentally sustainable society, a mission we believe is equally as important in today’s world. Furthermore, as TUAT continues to make efforts to come closer to realizing these goals, we believe that it is a key responsibility of a university to contribute to both local and global society through the cultivation of exceptional human resources. In an assertive commitment to international exchange, TUAT is presently involved in over 80 collaborative agreements with foreign universities, allowing us to take advantage of the wealth of opportunities such partnerships provide. These opportunities include establishing overseas offices and progressing joint efforts with prominent and influential universities and enterprises, accepting top-caliber foreign students and researchers at TUAT, and sending our own students and researchers to expand their research skills from a unique perspective that only these overseas universities can provide. TUAT is an academic institution focused on developing an atmosphere that grants our students and researchers the freedom to completely devote themselves to their studies using a broad and diverse outlook that fuses our academic strengths of agriculture and engineering, and it is our hope that this approach will make the best use of their abilities in order to develop and spread knowledge that will stimulate and enhance innovation. Including the rebuilding efforts after the recent earthquake that hit eastern Japan, our world faces many difficult challenges ahead of us. We at TUAT believe that the results of our research and cultivation of human resources will play an increasingly important role in addressing these challenges, and we are giving our full effort in order to create a better future.